Toxicology reports show Justin Bieber had marijuana and prescription medication in his system when he was arrested in Miami last Thursday. Toxicology reports show Justin Bieber had marijuana and prescription medication in his system when he was arrested in Miami. The Confident star was charged with driving under the influence (DUI), driving with an expired license and resisting arrest in Florida last Thursday after taking part in a drag race. He also confessed to officers he had smoked cannabis and ingested medication given to him by his mother, Pattie Mallette, which was confirmed by the analysis of his urine test, which showed positive for THC, the active part of the marijuana plant, and Alprazolam, a key ingredient in anti-anxiety medication Xanax. The test showed negative for cocaine, opiates, methamphetamine and other drugs. It has already been established that at the time of his arrest, Justin's blood alcohol level was within the legal limit to drive in Florida. Since his arrest Justin flew to Panama for a few days break with his rumoured new girlfriend, Chantel Jeffries, then made his way back to his native Canada, where on Wednesday night he was charged with assault of a limousine driver over an incident which happened on December 29. 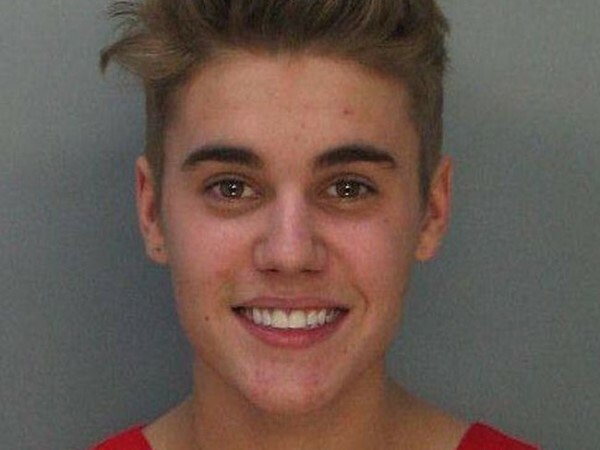 An arraignment date has been set for Valentine's Day, but Justin is not required to attend. After the hectic evening, his father, Jeremy Bieber, posted a picture of the 19-year-old star and his younger half-brother, Jaxon, cuddled up asleep together. He captioned it: "Safe and sound. #homesweethome." It is thought the photo was taken at Jeremy's house in Ontario, Canada.